Professional internal & external pest control treatments covering Cockroaches, Silverfish, Spiders, Ants & Rodents with a 12 Month Warranty. 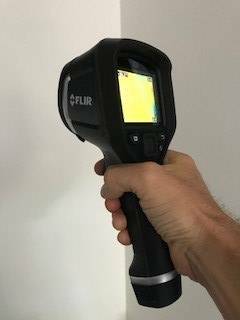 Full internal external termite inspection using thermal imaging camera technology with full report. All Pest control Brisbane prices will vary depending on the company that you deal with. Here at Sunnystate, we offer a full guarantee of our services. Ensuring a safe & reliable treatment for all of our customers. Certain pests like bed bugs and termites will require special treatments to be carried out by an expert pest technician. To give an accurate cost for these types of treatments. An inspection of the property will have to be carried out. For commercial pest control Brisbane prices please call our office to arrange a site visit to give an accurate price. Some commercial premises may require more frequent pest control visits. This is especially the case of food shops and restaurants. Customers that need a price for a termite barrier they will first need to book a full termite inspection. Once the inspection has been completed. A quote can be drawn up and emailed to the customer along with the inspection report. A termite quote is called a “proposal” and it will give full details of the planned treatment. For customers moving out of a rental property at the end of a lease agreement, will require a pest spray to be completed. Using a professional pest control company that offers a full guarantee is crucial for a full bond return. We offer our own full bond back guarantee for all customers that require an end of lease pest control service. We use the very best pest control products during all of our pest services. Our products are odourless and safe for the whole family and pets. During a pest treatment, all pet bowls should be put away until the service is complete. Customers that have aquatic life such as fish, the tanks should be covered and filters turned off during the service. It’s important that customers understand what they need to do before the treatment started. We have put together guidelines that need to be followed prior to your technician arriving. For more information on what needs to be done before your pest treatment starts (click here). 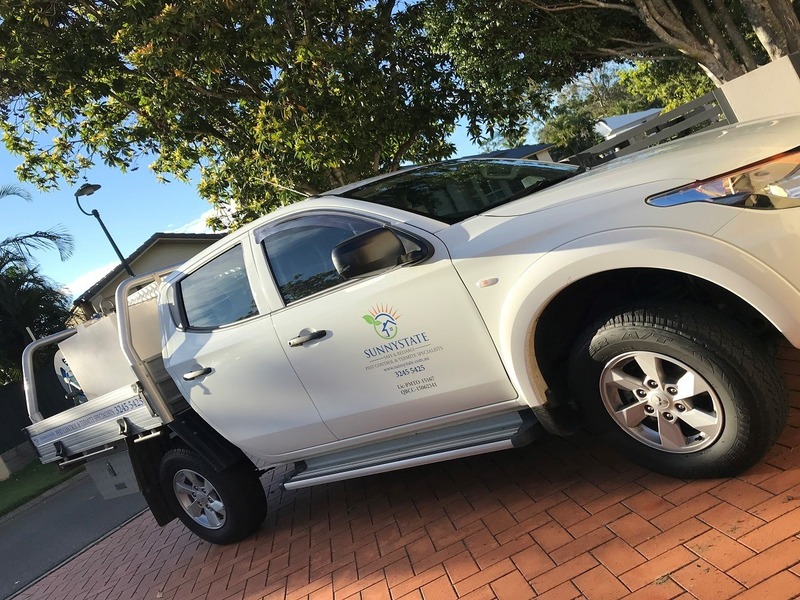 If you have a serious pest problem or are just looking for an annual pest control treatment or termite inspection or just need some friendly advice call Sunnystate today. Our trucks are fully set up with the latest equipment to deliver our customers the very best of services guaranteed every time. We have hand sprayers and also commercial petrol driven sprayers for large areas. We carry products for every situation within the pest industry from general pests to termite treatments and inspections. 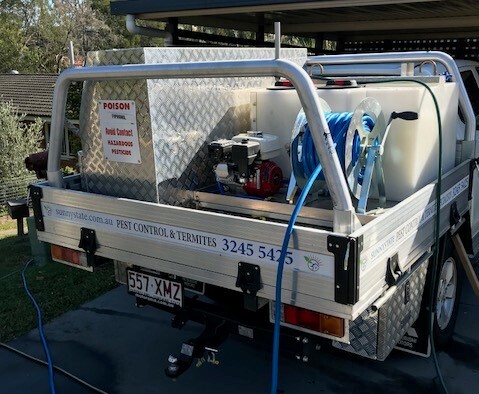 We have competitive pricing for both residential and commercial customers offering the very best pest control Brisbane prices. Our services and guarantees are second to none giving our customers complete peace of mind. We offer a full 12-month warranty on our services for general pest control treatments. We also offer a 5-year warranty on our termite treatments so our customers know their home is safe. If you have any questions or need a quote on your nest treatment don’t hesitate to call or email us anytime. We offer the very best free advice for both residential and commercial customers.